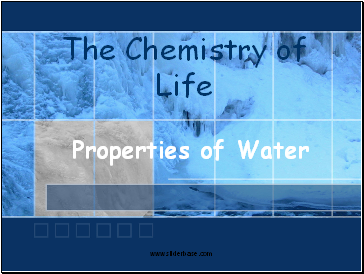 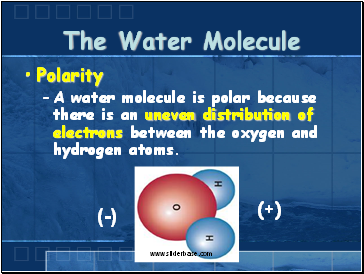 A water molecule is polar because there is an uneven distribution of electrons between the oxygen and hydrogen atoms. 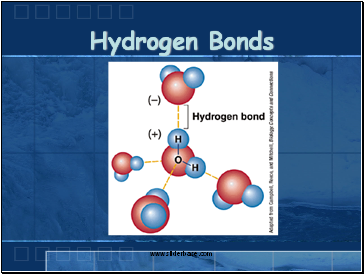 The attraction of the Hydrogen end (+) of one molecule for the Oxygen end (-) of another water molecule. 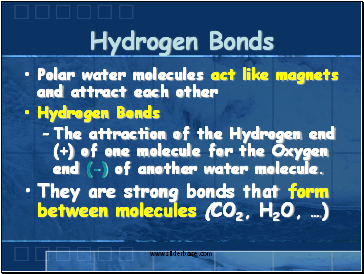 The attraction between molecules of the same substance (e.g. 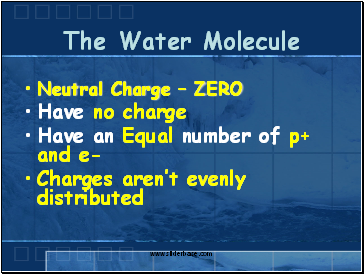 water). 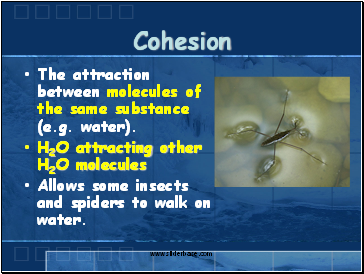 Allows some insects and spiders to walk on water. 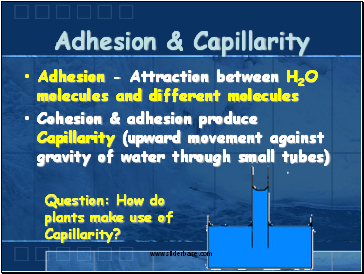 Question: How do plants make use of Capillarity? 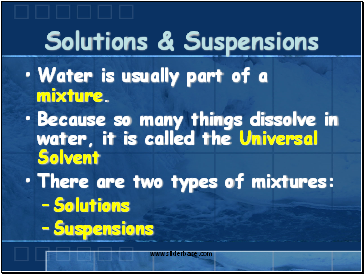 Water is usually part of a mixture. 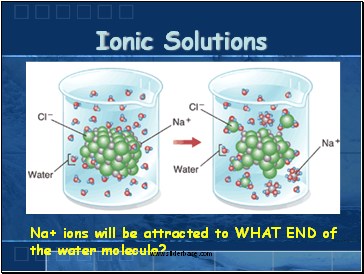 Na+ ions will be attracted to WHAT END of the water molecule? 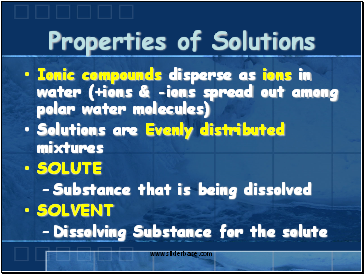 Substances that don’t dissolve but separate into tiny pieces. 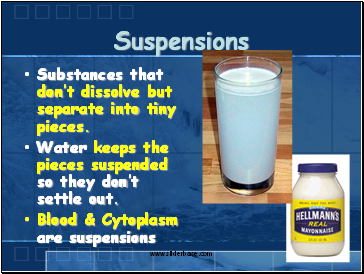 Water keeps the pieces suspended so they don’t settle out.